A text based version of Geodesign Hub using the Geodesignhub API. 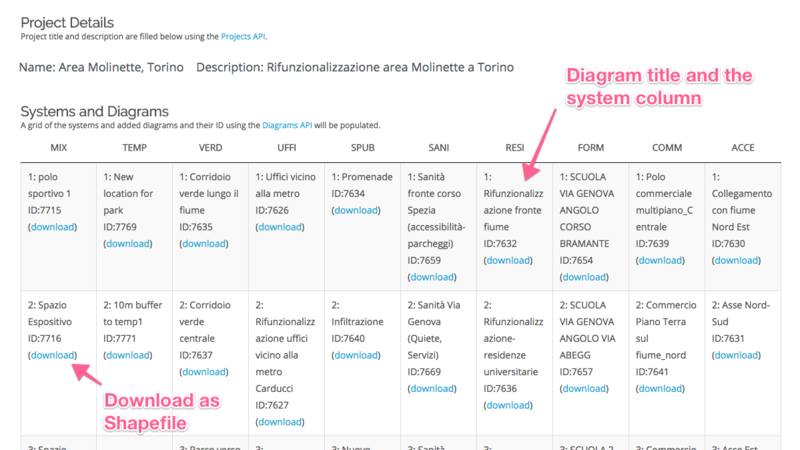 This project uses the API to get text descriptions of diagrams, systems, change teams and users and produces a text based version of the data in the project. In addition, individual diagrams can be downloaded as Shapefiles for use in other software. Sometimes this interface is more efficient to jump to specific system or diagrams within a system. Read the blog post here: Building a text based geodesign Dashboard. The diagrams grid in Geodesignhub is shown in text format along with the diagram id and description. In addition every diagram comes with a download link to take data out of Geodesignhub. 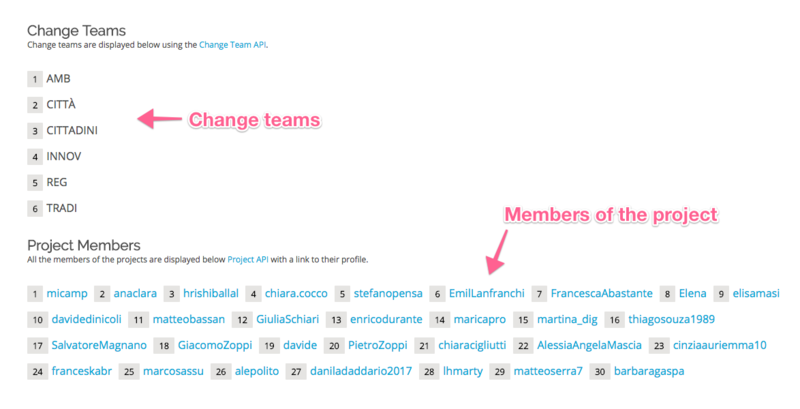 In addition the plugin uses different parts ofthe API, in this case, the list of change teams and members of a project and their profiles are shown below.